Nice looking Vitara you have there, sure I've seen it before!!!!!!! Pah! Botty. What a stupid name. I'm sure you will have your chance to meet him soon mu ha ha ha! I recognise that vit too, did u get it off eBay by chance??? Nar, purchased it from a lovely smiley mister off this site. I would get chopping and modifying but I think id prefer to keep it standard. 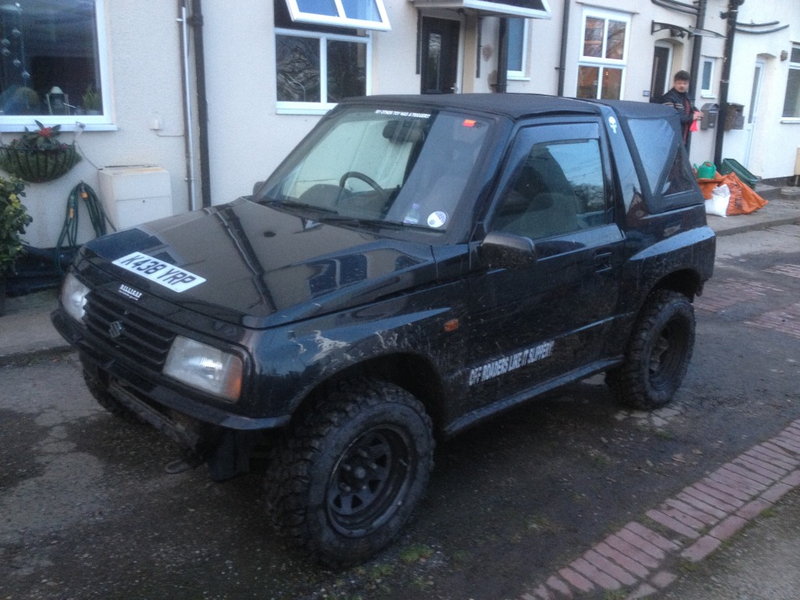 Welcome to the site mate, always nice to see new members, even if they do own a Vitara! Not seem much of you on the site mate, how's the vitara getting on? I bet you've got some good mods planned for the vit ant ya? I think if I had that vitara I would start to do trails and go show those land rover owners who boss! If it was mine, I'd have just planned light mods, then just left it on the drive for months cos I'm too busy with other stuff. No defo do the trails thing mate, I think you will be really good at it. I believe in you that much that I will give you full financial backing as long as you put a sponsored by Vitmods sticker in your window! LOL I can send you a sticker! If I put one of your stickers on my Samtara would you sponsor my coil conversion ?